Mond'sub Collagen Silk Mask Review - YOUR FANCY SELF! Today's blogpost is about Mond'sub Collagen Silk Sheet mask. Sheet masks are a great way to indulge in a small pamper session at home or while travelling. I myself enjoy a sheet mask session when I am tired or my skin feels tired. And the best part about sheet masks is, you can carry them any time to any place. Buy for Rs. 129 here or here. 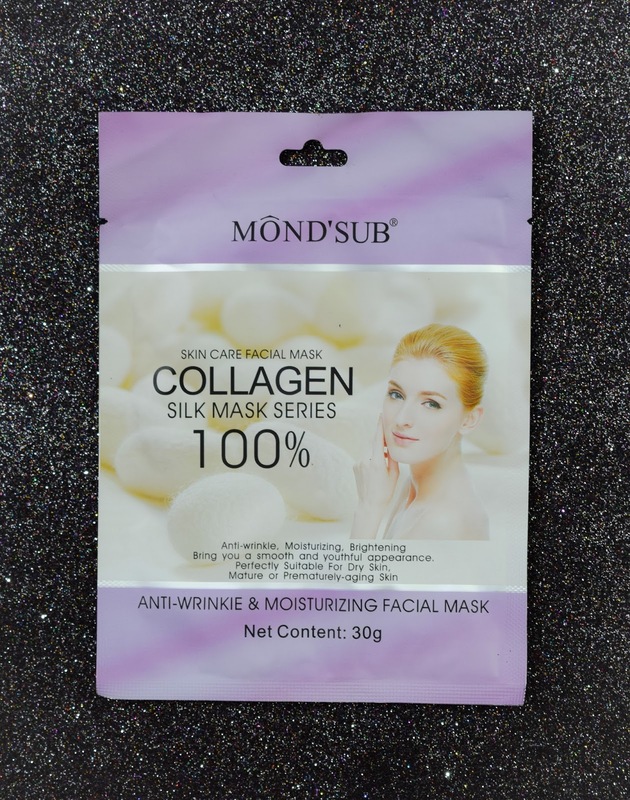 Mond'sub Collagen Silk Mask claims that it is anti-wrinkle, brightening and moisturizing mask perfect for dry and prematurely aging skin. The mask is indeed very moisturizing and brightening. 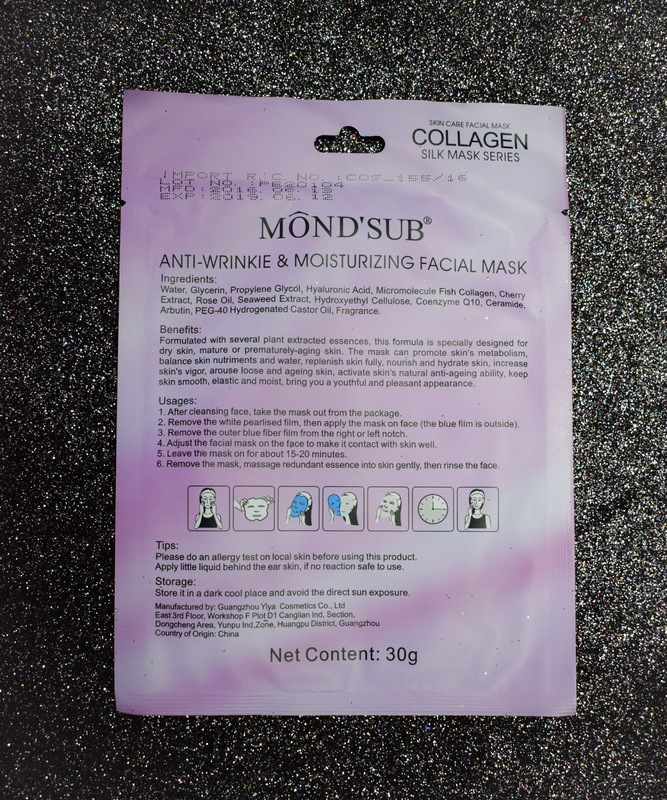 However, for the anti-wrinkle effect you would need to use the mask multiple times. The skin does feel a little tightened up, which is very minimal and great considering the fact that the mask was used just once. The skin after using the mask feels so soft and hydrated. I absolutely love that about sheet masks. The price of the mask is also affordable and if you want to buy more than 1, then they have an amazing offer of getting 16 sheet masks for just Rs. 999 (.i.e. Rs. 62 per mask). Buy a pack of 16 masks here. Talking about the packaging, it is compact like any other sheet mask. I loved the way it had two peel off wrappers and the mask was squished inside the both. However one thing that I did not like at all about this mask is its fit. I don't know if it is just my face or it is the case with everyone but this mask was not so proportionate with the facial features. The mask was literally covering my lips the entire time and inspite of pulling it up over and over again, it just did not stop covering my face. Other than that I loved the mask and would recommend it if you like using sheet masks. If you guys have used this mask and love it, do comment below and share your experience. If you have any post suggestion or if there is any product that you want me to review, then do comment below or email me the same.